eÂˇvolve /iâ&#x20AC;&#x2122; vĂ¤lv/ verb 1.. develop gradually, especially from a simple to a more complex form. 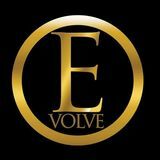 Published By Evolve Media Group Inc.
Evolution Magazine is a trademark of the Evolve Media Group Inc. All rights reserved. Reproduction in part or in full is strictly prohibited. Evolution Magazine is a monthly digital publication with limited print copies available in designated markets. Evolution Magazine welcomes all contributions. Evolution Magazine assumes no responsibility for content or advertisement. No representation is made as to the accuracy hereof and is produced subject to errors and omissions. VIEW THE DIGITAL VERSION ON ISSUU. 8 11 27 do people enjoy being sold? from the publisher Evolve Media is growing rapidly, and with great success comes great adversity. Over the past few months we have been working on “Team Development” and expanding our staff. The development of leadership skills are essential to the growth and health of any company – that includes yours. You probably used words like control, insight, and poise in your description. The next question I want to ask is: “Is it possible that these qualities could actually hinder great leadership?” According to some leadership coaches, the answer is yes. So, in order to remain effective as a leader, it’s valuable for every leader to develop a repertoire of different leadership qualities. Ascertaining when to fight or when to let go is very important in laying a foundation in effective leadership. Often great people gain a position of influence but they fall into habit of micromanaging. The desire to control can be a leader’s largest temptation and can bankrupt your company if not properly dealt with. Talk to most leaders and they will gladly tell you they have weaknesses. But most of them cannot tell you what they are. Most leaders don’t know their weaknesses because most leadership positions encourage managers to consider the weaknesses of others more than their own personal shortcomings. Knowing your own strengths and weaknesses will allow you to build a team that will support you and fill in the gaps. Most control comes from fear: fear of the unknown and fear of the level of ability of those whom you lead. These fears will cripple your ability to make decisions that affect your business. For example, a business owner notices that a project is showing inherent weakness. However, instead of cutting his or her losses and moving forward, he or she begins to throw more resources towards it in hopes to MAKING it work. The end result is a frustrated staff and a financial loss. Knowing when to hold and when to fold will do more than preserve sanity in the business environment; it will save money and allow growth simply because you stop paying attention to dead situations. Stepping Stone #2- Consider Suggestions from Unlikely Sources Another trap leaders fall into is to assume they are the only ones within their organization with great ideas while overlooking the wealth of information available from their employees. One of the worst things a business owner can do is to assume that their employees are incapable of making meaningful suggestions. Most problems that develop within your organization are experienced by those who are on the front line. These employees often see these issues with surprising clarity because they deal with them on a day to day basis. Your team can be your greatest asset against problems and breakdowns. Listen to your employees and consider their insight. It could save you a lot of time and money. Somebody Sell Me Something, Please! You've probably heard that statement more times than you can count. And it seems to make sense. The quote may be helpful, but it isn't entirely accurate. It's really just an oversimplification used to illustrate a point. Think about it: do shoe aficionados hate hearing about the new Air Jordans? Crowds gather outside Foot Locker's door hours before store opening, each person hoping to be one of the first to buy a pair. It's true that people generally dislike being pressured to do anything. When we don't know what we want, we don't like to be sold. When we don't trust the salesperson's intentions, we don't like to be sold. But when we do know what we want (and we can afford to get it), we end up practically begging someone to help us relieve the tension of pent-up desire. Video game fans can't wait until the next PlayStation console is announced, right? You may be thinking to yourself, Nike and Sony aren't "selling." I disagree. Selling is, as I see it, any effort to get someone to take a defined course of action. Nike isn't making commercials just for the fun of burning through millions of dollars. They want customers to buy stuff. And their customers WANT to buy stuff, too. How can you practically utilize this information as you attempt to connect with your customers and should-be customers? Focus on Customer Identity Runners, musicians, gamers, weight lifters, mothers of newborns, et. al, LOVE to buy stuff to enhance their lifestyles and display who they are to others. They love to pursue their passion and embark on the newest adventures (often through products and programs they can purchase). They're practically obsessed. They LIKE being sold stuff that augments their personality, like the athletes in the video linked to above. You may have heard me tell the story about a manager I had years ago who kindly informed me that "every man should have a Rolex." In his mind, a fancy timepiece is part of what defined masculinity. •	You have to know your audience. Perhaps that means going after customers in an audience that's already been defined, like Rush Limbaugh listeners or subscribers to wine magazines. Tailor your offerings and messaging to appeal to their perceptions of themselves and the things they've indicated they like to do and buy. promises and puts buyers in a better place to buy from you again in the future. Mark Cuban would invest into his business after an eventful appearance on the television show “Shark Tank.” However, that is not where it all began nor is it where it all ended. In fact, it was just one more stop on the long road to success. Stephan is a serial entrepreneur that has been tried and tested and Evolution Magazine’s Katrina Starzhynskaya had the delightful opportunity to sit down with Stephan and pick his brain and learn how he did it. 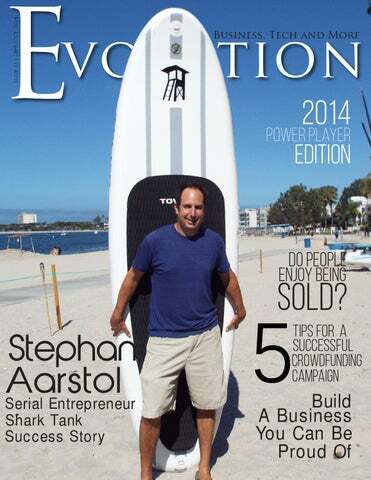 Evolution Magazine: Give us a quick background of your business and how you became an serial entrepreneur? got out of grad school in 1999 at the height of the Internet boom and they were handing out jobs at Internet companies with your diploma. I went to work in business development for a pre-launch start-up called AuntMinnie.com. It was a news and information portal for the medical imaging industry. We were going up against stiff competition for the same space with journals in the industry that had been established for decades, a company called radiology.com, and a well-funded effort from GE Medical Systems. Even though they all shrugged us off, we used guerrilla and online marketing tactics to become the dominant industry leader within 3 years. I was the young kid in the company. It was just myself, the president, and the CEO in San Diego, both of whom were established professionals with 20-30 years industry experience. As the new kid, I jumped on figuring out web marketing. I was doing PPC for a penny a click years before Google Adwords even existed, with the originator of the model, Goto.com. And I learned content marketing and SEO from ground zero. Power Player AuntMinnie was acquired by Eastman Kodak in 2002 and they kind of squashed the growth mentality and wanted to operate us for cash flow, which was stupid. It's no surprise to me that Kodak imploded only a few years later. I lost interest and used my evenings and weekends to start a side business selling high-end poker chips called BuyPokerChips.com. There was a boom in the popularity of poker due to it being televised. Within 9 months from launch I was making more in my side business than I was making at my day job, so I jumped ship. My wife at the time was 3 months pregnant, so it was a big leap of faith to jump, but the opportunity was too compelling. The month my son was born 6 months later, I made more in that month that my job at AuntMinnie had paid me in a year. After a few years, I read the 4-hour work week and it really resonated with me. I tried to optimize my effort and figured out how to run my company with only about 10-12 hours of work a week. I worked on something else entirely on Tuesdays and Thursdays, then just did half days on the business Monday, Wednesday, and Friday. Suddenly I had all this time to pursue other businesses. I tried a several. On was a toy company called Discmo, which was basically poker chips with kids images one them arranged in topical sets like trucks, African animals, fairytale characters, etc. It was designed as an education toy, and was quite good. the first tradeshow we exhibited at was the biggest specialty toy tradeshow in the world and we won an award for "Top 10 Educational Toy" at the show. Unfortunately, my partner and I didn't have a clue how to sell them through the toy distribution channel. And it was a product that had to be explained to people, so they didn't sell themselves. After a year or so of effort, I bailed on that and just sold it cheap to my partner. I pursued other businesses, but none with any significant degree of success. In 2010, I was about 6 months into developing a portal for the green energy industry and a friend took me out paddle boarding and I fell for it immediately. It was obvious to me that this would be a sport with extremely broad appeal, so I check the web search statistics and I saw an industry that was exploding. It was like 100% growth every year for 5 years. Also, there was no brand doing a good job with a direct to consumer approach, something identical to what I had success with in the high-end poker chip business. Where the green energy portal was a huge opportunity, it was also a huge question mark and likely involved me having to raise a significant amount of capital, which I had never done before. So I shelved that and went all in the paddle board business. I financed the start by discontinuing my most profitable line of poker chips so I could free up about $30K in inventory cash. I knew this would kill about 30% of my poker chip business, but I had to make a bet on the future as the poker chip business was waning. I was actually looking for a job about this time as well to keep paying my bills. It was a rough spot. Things worked out well. Our first container of boards sold out before they even hit US soil, and that's right about the time that Shark Tank called me out of the blue. I had only hired my 1st employee about 3 weeks earlier. Six weeks later we were on Shark Tank and got an investment from Mark Cuban. The rest is history! an experience allowed me to capitalize on the opportunity that presented itself in the form of a paddle board company and Shark Tank. Overnight success, not quite. And this 15 year journey is pretty descriptive of many entrepreneurs. So my recommendation is if someone finds themselves running up against a wall, they need to just ask themselves where they are likely at in that 15 year process focused on being an entrepreneur. I was trying to start a business while still in grad school, but without money I took a job to get by. Maybe they're a year one, and so they've just got 14 more years of struggle to look forward to if they want to achieve something. And if they don't have that in them, maybe quit now, and just work for someone else, which is pretty easy. Entrepreneurship is a grind, so you've got to enjoy the grind. It's a journey, not a destination. Lead Yourself We are all leaders – regardless of whether we run our own business, work for someone else, or are unemployed. That is because leadership is about influence and true leadership starts with leading yourself. to be self-reflective. This activity is what enables a leader to truly understand herself, identify what she values and make informed leadership decisions that guide or lead her behaviors. When was the last time you spent time quietly reflecting on your beliefs? Was it for longer than five minutes? I know, this is challenging to put into the calendar. And it doesn’t feel much like work, let alone important work. And yet, it is critically important. I’m going to keep this article briefer than most. I’d like to encourage you to take the time you would have used to read a longer post and pause for a moment of self-reflection. If it’s early in the day, think about what is most important to accomplish. And then think about why it’s important to you. What is the lasting impact that this is going to create in the world - or in your personal world? If your day is mostly over, think about the tasks you accomplished today. What impact will they have in the future? Did you place your priorities in the right places? What would you do differently if you had the chance? Mr. Kraemer likes to do his self-reflection at the end of the day. During this time he reviews his day to see what went well and what didn’t. He thinks about both what he would Now shhhhhhhh! Enjoy your quiet do again, in the same way, and what reflection and have a great day! he would do differently the next time. He also thinks about what he didn’t accomplish that he would like to have completed. Why is that task important to him? There are things in your business you are good at ...and there are things that you are not so good at. Do you know what they are? Do you know how to make them really work for you? The Good How to Leverage Both for Success This 45 minute webinar will enable you to: • Complete a SWOT analysis on your small business • Identify key opportunities • Grow your small business income! o-getter Rhonda Aker Wilkins has been an improviser since adolescence. In fact, if she were to author a best-selling autobiography, the title would be, “The Art of Making Things Happen.” Born in San Pedro, California, to Ronald and Delores Aker, Rhonda was a Navy brat, moving to South Carolina at age 4, then relocated to Marietta, Georgia three years later until age 10, with her mother and four siblings after their father was shipped out to sea for three years. The family relocated to Rome, Georgia when Rhonda turned 10, so that supportive grandmother, Lillian Jackson could lend a helping hand to the family. “The Early Days” As a kid, Rhonda had aspirations to become a nurse, but the sight of needles spoiled her desire. The second child of four, Rhonda attended East Rome High School, a mixed academic environment, where she became an honor roll student, a Math buff, a hoop star who was nominated Homecoming Court Queen and captain for the Color Guard. She attended the prom with her best friend, Wayne Bailey. Prior to early graduation, in 1988, Rhonda received the Most Athletic Award. called, Night Shift. As an independent background singer, Rhonda recorded with Slave, in 1995 and the Masters of Fungk, with Mark Adams from 1996-1999. The inaugural fashion show in March 1998, featuring “The Big and Tall”, at the Georgia World Congress Center, drew 900 people. Amy Pederson, now CEO of Slimpressions, was so impressed, she arranged a meeting with Rhonda and requested that her team produce Slimpressions’ annual fashion show for the Lupus Foundation. Rhonda found yet another calling: fashion and entertainment consultant. Divas Unlimited, Inc., has been so many things, but we never left the core of what we were, always consultants in the entertainment industry” says Rhonda. Fashion show clients include, the American Cancer Society and Kenny Anderson Foundation. Rhonda attended American International University in Atlanta in 2006, but stopped after one year and a half, because everything the professors were teaching, she already knew. “I had the fashion piece, but I needed the marketing piece,” she said. Rhonda lives with John, her husband of 20 years, and her son, Paris, in a secluded brick home in the suburbs of Atlanta. Her fully-decorated fifth-floor highrise office complex is only 10 minutes away.” Both John and Rhonda are loyal supporters of other businesses and non- businesses. They split P.T.A. meetings. “He’s a big help,” says Rhonda of John. Rain, sleet or snow, there’s no stopping her show. Her day starts at 5 a.m. She drops her son off at school by 7 and she’s in the office before 8:30. She routinely conducts meetings until noon, engages onsite visits for potential customers, and leaves the office by at 4:30 p.m., in order to pick up Paris, a two-sport athlete and boy scout, by 6. “It feels great to be with my mother, she encourages me,” says the football enthusiast. When karate practice concludes, the two are homeward-bound, as Paris’ homework must be completed by 9 p.m. “Rhonda returns to the computer to check emails and finish the day’s business and usually hits the sack by 3:30 a.m When NBA Hall of Famer Dominique Wilkins turned 50 in 2009, he hired Rhonda to organize his birthday party, which turned into a four-day event. Despite all of her awards from the Atlanta Business League and Who’s Who in Black Atlanta, Rhonda was knocked back on her heels after she lost her father just 10 days after he attended the Legendary Awards with her in 2013. Her father was her life. " I was the epitome of daddy's little girl. I am still struggling with his death. I just pretend, I am that little girl again. He is back in the Navy and away at sea and I am waiting the anticipation of his return," Rhonda shared. On March 1, Rhonda was chosen by longtime businesswoman Sonja Young to be an advisor for the Woman to Woman Inaugural Conference, featuring keynote speaker, Dr. Maya Angelou at the Marriott Marquis Conference Center in Atlanta. “This was a first time involvement; I chose Rhonda simply by word of mouth, and I was highly impressed. She was very pleasant and helpful along with the other powerful advisors,” Young said. The event was a fundraiser for the Angelou Teen Center and the Andrew and Walter Young Family YMCA, along with other programs that benefit girls, women and families. More than 600 women attended the affair. On April 12, Rhonda was a featured speaker at the Intercontinental Buckhead Hotel for the fourth annual “Women Rise Up” Spring Summit Event to empower women, sponsored by Anthony “Spark Plug” Thomas, publisher of “You Need To Know” Magazine. The red carpet summit consisted of photo ops, a business expo, fashion show, awards and presentations, including networking opportunities. “We selected Rhonda, because she thinks big, she thinks bigger and she rearranged her schedule to be here after having a prior engagement in New York,” Thomas said. Beautiful, big-boned and bold, Rhonda is an avid reader of marketing books, loves to travel and attends the movie theater with her son. Her favorite book is “Think Bigger,” by Jonathan C. Maxwell. She considers Facebook, Linkedln and Twitter a tremendous help, as well as working with great teams. â&#x20AC;&#x153;Adapt to having nothing; but thrive to obtain everything.â&#x20AC;? “Made in Taiwan”; “Brewed in New Zealand” – as Sandra likes to introduce herself to new people she meet. Sandra Fan – a “Kiwi-Asian” moved to the United States (from New Zealand) in May 2011. From only knowing just a couple of people in this foreign country when she first arrived, to now being one of the most well-networked and connected person in the Salt Lake City community. There isn’t any business or entrepreneurial events she goes to that she wouldn’t meet someone she knows or knows her. Within 18 months of living in the United States, Sandra was listed by LinkedIn to have one of the “Top 5% Most Viewed Profile in LinkedIn for the year 2012” - that's out of over 200 million members LinkedIn has at the time. people to do door-to-door cold calling sales. As a result, her greatest skill mastered from being in these industries was the ability to talk to absolutely anybody and everybody – and have people notices her presence, drawn to her personality and compelled to connect with her, instantly. Since moved to the United States, Sandra works with a global entrepreneurial organization called CEO Space International (www.ceospaceinternational). A by-invitation-only private business club where with a one-time investment fee, business owners and entrepreneurs can become lifetime members of CEO Space and enjoy the benefit of the powerful business network that can help accelerate their ventures nationally and internationally. The lifetime members would meet in Las Vegas five times a year to learn, get educated, network, mastermind, and receive free coaching and mentoring from experts of all industries all week long. In 2007, David entered the corporatefitness industry as he formed and incorporated HealtheFit, LLC. With HealtheFit’s formation, David expanded his client base to property management companies and law firms in Washington, DC. HealtheFit’s growth enabled David to provide many employment opportunities to some of the best personal trainers in DC. The success of HealtheFit provided David with and opportunity to nurture his entrepreneurial spirit and thus he opened the first commercial gym at the Ronald Reagan Building & International Trade Center in Washington, DC. With it, David created Fighting Trim the Gym and openedits doors June 2012. Unfortunately, for reasons out of his control, David was forced to close the doors of his new gym less than a year into his contract but, he didn’t allow that to slow his commitment to changing lives. He has since gone on to become a sought after fitness business consultant, he has co-founded Tactical Performance Corps, LLC,formed Fighting Trim Fitness, LLC, and most recently became the Fitness Manager of Gold’s Gym in Fredericksburg, VA.
ince graduating from Grambling State University, David has dedicated the last 14 years to the health and fitness industry. During that time, he earned a reputation for innovative strategies and success in the fields of Recreational Therapy, Fitness Management, and Personal Training. David hasmastered almost every possible technique of fitness delivery through over 12 certifications David’s impact has come through the many roles spanning from Certified Biggest Loser ® Pro to he has served,beginning as a Certified Recreational Certified Tactical Strength and Conditioning Therapist and later as the Senior Operations Facilitator. Most recently, he has transitioned into Manager for 12 Bally Total Fitness gyms in DC, VA and teaching the world’s fastest growing reality-based MD.In addition, heis known as the "Trainers’ Trainer," self-defense system, Commando Krav Maga with working as a Fitness Presenter and Certification students ranging from stay-at-home moms to Specialist with several organizations including the members of the Military. David insists that despite Aerobics and Fitness Association of America(AFAA)- his high level of expertise, he is a full-time student the worldwide leader in fitness certifications. and a part-time instructor. orn on July 4, 1970, in the Bronx, New York, Lisa Torres started to pursue her career as an Entrepreneur at the age of 19. She turned to Network Marketing as a way to create freedom in her life. When she was introduced to the Direct Sales industry, she was fascinated by the idea of working for herself in the comfort of her own home and not having to wake up early to fight the daily hustle and bustle like every other average American. To her, the idea of working for someone else for the rest of her life was simply not an attractive. In 2007, Lisa was laid off from her corporate banking job where she was making $55K per year. But, when she got her freedom papers, it was the happiest day of her life. When Human Resources called her into the office to give her the news that they were letting her go, she asked them to please hurry so she can get out of there. The following day, Lisa made a decision to figure out how to make money on the Internet because she saw that there were other people doing it too. So, she started watching other people’s videos on YouTube and was following 3 people who were talking about making money online. She followed these people for about a month and made a decision to join one of them. A couple of more years passed by and by the time Lisa’s extended unemployment checks ran out, she was already making a residual income of $1800. And from there she started joining other programs getting her feet wet with the online marketing world. Despite all of the marketing knowledge she acquired over the years, there was still something missing but she didn’t know what it was. In 2013, she found herself 3 months backed up in rent and living in a tight 2 bedroom apartment with her husband and 10 year old daughter. She just could not figure out how to have an income breakthrough and found her residual income checks decreasing month by month. Then she found a 7 figure Mentor and started learning certain skill sets that Network Marketing companies simply do not teach. I Screwed Up…So You Don’t Have To”. His new book coming out “How to MAXIMIZE Profits with America’s Rent to Own Program: Now your DREAM can be Realty HOME-OWNERSHIP.” Franklin’s also is a Managing Member of Bentley Private Real Estate Investment Firm and Founder of LandOwner Club, which is Tampa’s Largest Online Community of Real Estate Investors. In addition he is the owner of several Internet Marketing Businesses and former co-owner of * TradeMark Property Management. He and his wife, Bridgette started TradeMark Property Management with 0 clients in built it to over 500 units in less than 5 years. The company was later sold to an Investment company. Raising Reptiles Evolution Magazine had the opportunity to interview Abigail Kessler and Gabriel Jude, co-founders of Raising Reptiles. They are reptile enthusiasts, firmly dedicated to producing and sharing well-rounded, quality information on reptiles and how to take care of them. Evolution: Tell us a little bit about your business and how you got started. Abigail: The business was officially started back in September of 2013. Gabriel and I met on Facebook in August. We quickly realized that we had a multitude of similarities, most notably that we are both givers who care about making a positive impact in the lives of others and that we’re into self-improvement. I already had the initial idea for Raising Reptiles. Through many brainstorming sessions, we made that idea a reality, forming a terrific partnership and co-founding the business. The reality is, the reptile industry has a shady past. It has slowly moved forward, but we haven’t moved forward enough. People’s standards for the treatment and care of these fascinating creatures are still drastically low. Big-name pet stores, breeders, product developers, suppliers and manufacturers continuously spread horrid misinformation that can result in the death of a child’s beloved pet. Hobbyists still settle for bare minimum care. The general public is afraid and critical, and there is a gross lack of funds going to pursue research and wildlife conservation efforts. People fear what they don’t understand and they seek to put a stop to it. If this industry continues down this road, hundreds of thousands of people will lose their jobs and livelihood. Animals will suffer and die. Raising Reptiles was born because it’s time to revolutionize this extraordinary industry. It’s time to raise the standards, change the game and work so future generations can experience the wonder of nature and the reptiles within it. We begin by creating unique, comprehensive, top quality care guides that genuinely add value to reptile lover’s lives, pushing them them to do what’s best for the animal and share that knowledge with others. Our mission is to continue developing innovative products and systems, to sponsor herpetologists (reptile scientists) and researchers to travel the globe, studying reptiles and their habitats in depth and to open up the world of travelling to dedicated young people. We want to inspiring this generation and the next to properly care for the reptiles in their homes and protect their natural environment. Evolution: We know when we do work we love, we never really work. How does it feel to be an entrepreneur doing what you love? Gabriel: I feel blessed and grateful to be an entrepreneur, doing what I love and working with the people that I love to work with. My parents taught my brother and I three principles to succeed in life. They are 1) serve people, 2) make a difference, and 3) add value. Being an entrepreneur, I get to do exactly that. And by doing that, money comes in naturally. affirmation that whatever goals, dreams and visions we set for ourselves for the future are definitely achievable. 2) Know that every failure and learning from that failure is preparing you for even greater success. There is no such thing as failure, only feedback. The first six companies that I started all failed majestically. I learned a lot more from my second company than I did my first, my third company more than the second and so on. I truly felt that all I was getting was feedback that something didn’t work. I learned and tried again. I believe that if I am not “failing,” I am not learning. If we are not learning, we are moving backwards, because the world will move forward with or without us. 3) Be in a room of people who are smarter, richer and more successful than you. If you are the smartest, richest and most successful person in that room, you are in the wrong room. I have been blessed by being surrounded by people who are much smarter, richer and more successful that I am. My speed in growth and progress is attributed to these epicsaucesome people. One of the reasons is that true spending a lot of time with them, I “become” like one of them. It is the Law of Conformity, a natural process. Brian is also the host of the internet radio talk show “Success Profiles Radio” on the Toginet Radio Network. Each week on the show, he explores different aspects of success and how to apply them to your life. Guests will come from many different backgrounds, including expertise in leadership, business, relationships, careers, networking, health, overcoming adversity, and much more. Success Profiles Radio can be heard at www. successprofilesradio.com on Mondays at 6pm EST, and is consistently ranked on the "What's Hot" list on iTunes in Careers and Self Help. Brian grew up in Iowa and graduated from Iowa State University with a degree in Communication Studies, and holds a Masters degree in Adult Education from the University of Nebraska in Lincoln. He discovered a passion for speaking and influencing audiences by speaking competitively in high school and in college, and by being heavily involved on campus while in school. Throughout his career, Brian has been a top performer in the areas of sales, customer service, training, and has also written resumes professionally for students, working professionals, and executives. He is available to speak on the topics of motivation/ inspiration, leadership, careers, and goal setting. He resides in the Phoenix, Arizona area. or every successful crowdfunding project, there are hundreds that go nowhere. Many of these projects are devoted to responsible social causes like feeding the poor, paying for medical bills, providing access to basic needs, etc. Other projects have an awesome product that took months to design, yet they end up missing their goal and walking away with nothing but disappointment. To help answer this question, I sat down with my friend Luis Moreno and asked him about how he was able to run two successful Kickstarter campaigns and the lessons he learned from them. Luis moved to China in 2009 to study the language and pursue his MBA. While in China, he realized the poor quality of the materials and work conditions in the fashion industry. This realization gave him the drive to start a company that puts its primary focus on the quality of the products, the authenticity of the materials and the work of the artisans. 1 – It’s All About How You Tell the Story On Kickstarter, it is not just about the product, but also about the story behind it. The Kickstarter community is very aware of current worldwide issues and projects that address some of those problems tend to be perform better than projects without such consciousness. Having just a product probably won’t work. Founders should shoot videos and speak personally about the why, what and how. People want to know the whole story behind the project. Backers will appreciate updates and comments on how the project is progressing. Moreover, if a project seems dead, even backers that already pledged might go away, fearing a lack of commitment from the team. Mamahuhu’s team appeared in the video and explained the concept, the project and their needs. They also showed the process of making one shoe. They made it personal and let their passion speak for itself. 2 – Reach out to Your Family and Friends First During the first week or two, try to reach as many family and friends as you can. This is an effective way to you get your pledge numbers up and enter the Popular Section quickly. Otherwise, the general public won’t see your project at all. Without visibility, the project won’t get very far. Once in listed among the Popular campaigns, you will see how the backers come quickly if the project is compelling. The crowdfunding community is extremely active when they like something. By the third day of its campaign, Mamahuhu’s had over 35 backers from friends and family. That put them in the Popular Section, which in turn allowed them to reach 30% of their goal by Day 5. 3 – Be Realistic with Delivery Time A major problem that plagues successful projects is delayed deliverables. It is essential to make the right numbers and to be realistic on how many units you can deliver by a certain date. Limiting the numbers of pledges per item might be wise if your products are handmade or take time to produce. Your backers will understand if you need 3 months to prepare great products, but will kill your project if you delay the delivery date too much. hen I set out to become a coach I was already a leader. However, being a leader and demonstrating leadership does not make anyone a coach. The generalized term for the type of coaching I wanted to get into was "life coaching." I couldn't help but think to myself how generic this term was. I created my own terminology for the brand of coaching that I do and I've never looked back. At the very root of all that I do with a client is a principle that is based in service and value. Dictionary.com defines "principle" as: a â&#x20AC;&#x153;guiding sense of the requirements and obligations of right conduct." The bottom line is that my clients want success whether they live in India, Malaysia, Canada, Europe, or the USA. Because I provide principlecentered marketing mentorship to clients around the globe, I dubbed myself an "International Success Strategist." (Sounds better than life coach, doesnâ&#x20AC;&#x2122;t it?) After further specialization and many case studies, I discovered that a majority of clients that I choose to work with fall into 3 categories of needs: 1. Personal Confidence - not to be confused with self-confidence, personal pride, etc. 2. Wealth Creation - how to live the â&#x20AC;&#x153;internet lifestyleâ&#x20AC;? with a successful business of one's own. 3. A combination of the two. Let me share a story with you that encompasses the development of both personal confidence and wealth creation. the way, I notice some impaired hearing people who want to see strong proof of real income because they are very sensitive. Boot camp series No matter how skilled and experienced you are, no matter how impressive the results you’ve produced for your customers and clients have been, your ultimate success will be determined by your ability to sell yourself and what you have to offer. Fortunately, you don’t have to stoop to the level of that stereotypical high pressure pitchman you often see on television. There really is a better way. •	without using deception or unethical tricks •	without being obnoxious •	without being passive, hoping clients will decide to sign up. Author / CEO Evolve Media Group Inc.
1. Vanessa Lewis, Social Catapult Get into the minds, and hearts, of your target audience. Put yourself in their shoes… what do they want and need in terms of relevant information, ideas, inspiration and entertainment? Notice what they respond to and tailor your content accordingly. Be social and make relationships! It’s only by doing all of these things that you establish trust, and in turn yours will be the first business they turn to when they have a need you can fulfill. 2. Andrea Vahl, Andreavahl.com Managing a Facebook page happens best when you participate both on your Page and on the Pages of others. Make sure you are replying to comments or at least acknowledging comments with a Like. Then also watching the Pages of your community members. Tag them in a post, post a comment on their posts, or participate on Pages where they are participating. Widening your community space to include other Pages will help your visibility as well. You can use tools like AgoraPulse to show you your Top Users to help you keep track of. 3. Mark Schaefer, Businessesgrow.com Consider “engagement” strategically. It is not a goal in and of itself but a tactic that leads to awareness, connection and eventually loyalty. Engagement comes at a cost, both in terms of time, attention and content creation resources so consider that engagement needs to support a metric for the business. Engagement is not necessarily the metric that matters. 4. Emeric Ernoult, Agora Pulse My number 1 tip for managing a Facebook page is to understand that this will require the same amount of time and efforts as it takes to build and nurture a “real life” network: – it will not be great overnight – you’ll have to give a lot first before you can expect to receive – you have to invest in maintaining the relationship alive. People forget you quickly when they don’t hear about you for a while – some people will give back after 2 weeks, some after 2 years. But you’ll have to treat them all the same (i.e., very well!) – people will come and go, don’t get mad, that’s normal. – when you care about your people, have their problems at heart and think about them before you think about yourself, it always pays off, always! 5. Scott Ayres, Postplanner My #1 tip for managing a Facebook page is to be human.No one likes to follow a page that never responds or responds with a regurgitated answer over and over.Call people by their first name and give them the respect they deserve. Make sure you tag every comment with your name so people know who they are talking to and they are reminded there is a human behind the brand.Part of being human also means to not delete negative comments or posts just because it makes you look bad. Own up to it and respond. You’ll get more traction and respect from doing that than simply deleting/ hiding the comment. 6. Robert Caruso, Bundle Post If you’re not paying to play there’s little to manage. 7. Aaron Lee, PostPlanner Sometimes it’s easy to forget to post daily. The way we do it for our Facebook page is we plan and schedule our content calendar with a variety of content 2-3 weeks in advance. By doing so it helps us to save time, focus on building quality content and most importantly focus on getting social and building an authentic relationship with our fans. 8. Joshua Parkinson, PostPlanner The Greek philosopher Heraclitus famously said “No man steps in the same river twice” — referring to the fact that every time you dip your foot in a river, the river has changed. So it is with your Facebook community. You never really post in the same community twice — because (1) The community is constantly evolving (fans are coming and going) and (2) A different subset of that evolving community sees each post. This is why you MUST continue re-posting your evergreen blog content on your Facebook page. Each time you re-post an evergreen article, it’s reaching fans who’ve never seen it before — and thus sending new traffic to your website. So that’s my #1 tip for managing a Facebook community — to not be afraid of posting the same content multiple times on your page. 9. Christian Karasiewicz, Christiankonline.com When building a community on Facebook, one of the best ways to do this is to engage with your audience. You can do this a number of ways: Respond to posts and messages from fans Respond to comments Tag fans in posts, photos, and videos Share quality content Ask your fans what they want to see Building a community on Facebook isn’t a one-way street. By taking the time to connect with your audience through discussions on posts or engaging with them to find out why they came to your page and how you can help them. You can start to build a loyal following and strong community presence on Facebook. 10.Francisco Roles, SocialMouths Use Audience Insights to learn more about your own community I think the best way to manage a Facebook page is to start by learning more about who its members are. I mean, beyond the demographic data. This might sound a little “basic” but you’d be surprised to see how many community managers fail to take the necessary time to understand who they’re talking to. Page Insights and Graph Search can help you get started, but the new Audience Insights will take you even deeper to learn things like other interests, occupations, purchasing behaviours, and Facebook activities among other things that were not available before. Once you have a good understanding of who’s behind your community, you’ll be able to create a better strategy to SERVE them. Jay Baer says that people use the Internet for 2 reasons… To solve a problem, or To be entertained I think he’s pretty much right on! So if you want to do well on Facebook you need to understand that most people are not there to solve a problem. They want to be entertained. Your Facebook page content needs to connect with them. It is a social network! To do this your posts must create an emotional connection and that connection will then be associated with your brand. Posts that prompt a laugh or a even tear can do this. And what communicates that way? Stories. How can your posts tell a story? Imagery. That’s why images continue to win and that’s why Pinterest and Instagram (and tools like Canva) are on the rise! Let’s put it another way. Author John Maxwell notes that, “People don’t care how much you know, until they know how much you care.” It’s about the connection! Companies on Facebook need to keep this in mind. It’s critical and underlines the importance of connecting emotionally with your community. You can’t be all “selly sell” (Chris Brogan speak) on Facebook. Users are on Facebook mostly to be entertained. So to connect with them you must entertain. The more you connect, the more they engage, the more they will see your other posts that click through to your website and apps, and the more likely they will be to click through and go! Do NOT overlook the need to connect and entertain on Facebook. It’s the gateway! 12. Ian Cleary, Razor Social Pay for advertising on Facebook. We pay our email marketing tool provider to email our email subscribers; we pay Google if we don’t rank organically for content so we should pay Facebook for increased reach of our posts. Provide content that is only relevant to your target audience and promote the most relevant content through paid advertising. If you deliver great content relevant to your brand you will increase trust of your audience but if they don’t see your content you won’t build that trust. 13. Michael Todd, xeeme.com/michaelqtodd Talk regularly on the pages of other businesses in your niche and/or locality. This will put your brand in front of the people you want to connect with and be seen by and you will only be a click away from getting new business. Be fun, friendly and educational and you will have great success with this strategy. 14. Hugh Briss, Social Identities The power of social media is not in selling directly but in inspiring and motivating others to do it for you. That doesn’t mean you only need to post content your fans and followers will share but first and foremost, you need a quality product they can believe in and a solid brand behind it. When you have that, your followers will create their own content There’s only so much any of us can do with a few social pages but once you have hundreds or even thousands of brand advocates, that’s when you’ll see the true power of social media. 15. Jenny Brennan, Virtual office Worx Running a Facebook page is a full time job. Like any other community you need a strong leader who understands the needs of the fans. Define a vision for your community and you will find it easier to create and curate amazing content that people will want to engage with and find value in! Having committed fans is the key to your success but you don’t need hundreds of thousands to be successful. Attracting the right fan that believes in and can be part of your vision is your ultimate goal! 16. Pam Moore, Marketing Nutz Always focus on the needs of your community. It is what happens “after the like” that matters most. Inspire them to connect with you with a goal of helping them achieve their goals. When you help your fans achieve their goals, you achieve yours by default. Inspire, connect, achieve. Don’t make it harder than it has to be. 17. Kim Garst, Boom Social The #1 tip for managing my Facebook page starts with a solid content plan. The key to a content plan is to develop a list of types of content that you think your ideal customer will relate to. For me, this includes social media and business tips, related blog posts, inspiration and motivation, personal or brand stories, humour and, of course, my marketing message. I recommend an 80/20 split on your content. Eighty percent of your content should be useful and value based to your ideal customer and the remaining twenty percent can be used to weave in your marketing message. Once you have a content plan in place, consistency is critical. I post relatable content that ties back into my content plan, 6-8 times a day; sometimes more. This content strategy has helped me build a great community of engaged fans! 18. Dennis Yu, BlitzMetrics Change your setting to be fully open in terms of letting people comment, tag, reply, and so forth. Unless you are absolutely vilified, you’re opening yourself to a lot more growth and positive feedback. If you have a large email list, you can invite them (up to 5,000) people and run custom audiences. 19. Blake Jamieson, Pool Supply World Facebook changes so often – and the changes are entirely out of the page manager’s control. It’s important to stay up-to-date with platform changes, but even more important to diversify your points of contact with your fans. Leverage your Facebook page to grow your other social media channels, as well as email list. On the PoolSupplyWorld page I manage, we offer a coupon to our fans, but collect an email address before sending them use a coupon. This gives us the opportunity to stay in touch, even when Facebook throws us a curve ball. 20. Brian Carter, Briancartergroup.com My number one tip would be to really get + know who your audience is by keeping track of the engagement rate you get when you post to them. Divide the likes by the reach. You should get at least 1%, then try for 3-5% and I have some pages now where we’re trying to hit 6-9% regularly. It’s painstaking but each month, look at the list of posts and their engagement rates, then sort them so you can see which posts got the most and which got the least. What do the least engaged with have in common? Avoid doing that in the future. What do the most engaging post have in common? Try more of that. Every audience is different. Make sure you’re really talking to who your unique audience is. Also, use graph search to find out what other interests and pages they like- that can be a great way to start! 21. Liz Azyan, Liz Azyan’s guide to engagement online & research There are so many things we could do to really excite our Facebook communities. We can share valuable information, recognise our community members creatively by putting the spotlight on our members, run contests and interact with them on a daily basis. But the main common thread that runs through any successful Facebook community is their ability to create unique and memorable experiences for their members. Understanding their connection is not only with you, but with each other and the wider Facebook community. The core of it all lies in NOT what type of post they like, or comment on or share. It’s what type of post makes them FEEL happy, sad, excited, awesome, motivated, inspired and most of all what makes them FEEL connected and have a sense of belonging to your community. So ask yourself, how did you make your Facebook community FEEL today? If you can answer this question, you’re on your way to creating a Facebook community that is one of a kind. 22. Juan Felix, Felix Relationship Marketing My number one tip for managing a Facebook page would be to spend some time to use the right visuals for your content. You know, as social visual communication is becoming more important, you need to search for high quality content and visuals at the same time. So spend enough time to find the appropriate visual before you share an update on your Page. By doing that consistently you develop a sense of what type of content resonates with your Facebook community. Plus you can check your stats to see if you were right or not! And to find the right visuals you need to think out of the box and use your imagination. To give you an example: you could use an image of a delicious dish with fresh Thai food and add a text overlay that says something like ”Six key ingredients to create the perfect Post”. It makes total sense to use the image of colorful Thai food in this context and it will ignite emotional reactions. So, spend some time to curate high quality images that move people emotionally and tell your story 23. Zsusa Kecsmar, Antavo Promotion Builde We see that our customers use contests and sweepstakes successfully to build a vibrant community on Facebook. They deeply involve fans with a photo contest, or run a lighthearted sweepstakes where fans can enter with a single click. A good Facebook contest has multiple, lower value prizes (so the chance of winning is higher), allows public voting (so those people who don’t upload their own entry can participate), and promoted well (unless no one shows up). 24. Alex Houg, BlitzMetrics Let the community do the work for you. Promote trusted members to admin, share their statuses, and elevate them. Public praise and encouragement shows you have a true twoway community. And nobody is going to do a better job in demonstrating expertise or passion than your best fans. So recognize them! 26. Jon Loomer, JonLoomer.com Experiment with publishing at non-peak times! I’m finding that I get the most reach and (most importantly) engagement from posts that are published in the middle of the night my time. I will schedule posts for 2:15am and wake up to a flurry of activity. While I have an international audience, the number of fans online during that time is only 70% of peak times, yet I get far more engagement when I publish late at night. My theory is that due to less competition, my content is less likely to get filtered out, resulting in reaching more people. And since it gets early engagement, that could be momentum to help it be seen when people on the East Coast in the US wake up (thanks to Story Bumping). This won’t necessarily work for everyone, but my main point is that you should experiment with publishing times! 27. Keri Jaheing, Idea Girl Focus On Your Target Market This may sound so simple. We all imagine our ideal customer reading our posts and loving (liking) what we send out into their Facebook news feed. Don’t we? For big brands it is fairly easy to grab the attention of their target market on Facebook, as they already have brand recognition and a large base of brand ambassadors willing to interact with them online. But for the small to medium sized brand, it is a bit more difficult. And even harder still for the start up and solo entrepreneur. It takes investment of time and money to attract your ideal target market to your Facebook Page! As you’re personally networking on social platforms and socializing our brand pages on Facebook, it is quite easy to fall into a friendly pattern of marketing to our competition. The liking, sharing, collaborating – Of course you will see your friends and colleagues. It is natural to want to extend goodwill and cooperate. However, these actions alone can leave your marketing efforts fruitless. And, unfortunately, I see this all too often. Avoid that scenario by: * Networking – Online and….Offline! Live handshakes keep it real – Especially with those most likely to purchase your product or service. * Attending Facebook Friday Parties Strategically – Not every week, and vary your visits at different online gatherings. * Advertising – Even a small budget for promoted content can attract your target market to your business on Facebook. * Finding Collaborators – Identify and nurture working relationships that are in your industry and in a complimentary niche (rather than competing). Eventually you can be supporting each other with referrals. Until then, you can team up to combine efforts where it fits, and also to reduce some promotional expenses. * Putting A Facebook Like Box On Your Blog – Your content is what magnetizes your target market to your website. Capitalize on this traffic by placing a “Like Box” on your blog’s side bar. This encourages your ideal customer to click the Like button. In turn, they will see your content in their Facebook news feed will be more likely to interact with you at your Facebook Page community. From there, you can warm up your relationship so they move into your sales funnel. There are indeed more ways to focus on your target market at your Facebook Page. The above five ways will get you started in the right direction. If you want to get 'lucky' in finding mentors, you need to know how to play the numbers game. In this post, you will read about how Noam Kostucki, a successful coach and serial entrepreneur, managed to find one of his mentors who gave him his first executive coaching client at 21, and a series of practical steps to effectively find the mentors you desire. Take the time to write down the answers (paper, Evernote, etc.) and do the tasks you are given because both will take you a step closer to finding the mentors you are looking for. "When I went to Poland to set up my business, I really struggled. For 6 months, I didn't get a single meeting. Everyone told me 'you don't speak Polish, you are too young, we are not interested'. After 6 months, I decided to change my strategy. I wanted to meet the best corporate trainer and executive coach in the country to learn from him. I found what seemed like an endless list of names. After a brief research on each, I contacted all the ones who were even remotely relevant. One of the most influential of my years in Poland is Piotr Tymochowicz. Piotr was said to be the best business coach and PR specialist in the country. Some loved him, others hated him, yet everyone seem to agree he was the best. that he took 2 hours a week to teach me one-on-one his “Open Communication” technique. After completing the programme and proving my ability to learn and implement this new communication technique, he gave me what I had asked for: the opportunity to coach a CEO of a company. After teaching him the 30 hours coaching program one on one, the university drop out in me was very proud: I was 21 and I successfully coached a CEO whose children were older than me and who earned more in a day than I had in my entire life. This experience changed my life as a coach because I had finally done what I wanted to do. How can you start getting 'lucky' and play the numbers game Create an excel sheet and make a long list of names of people who have at least 1 characteristic that makes them a potential mentor (e.g., they’ve got the kind of job you want to have). As a rule of thumb it is good to start with a minimum of 10 names. If you can collect over 100 names, it will make the rest of your work easier and more comfortable. •	Look into your personal network (phone, address book, Facebook, LinkedIn, etc) •	Ask everyone you meet if they know someone who has this characteristic (friends, family, colleagues, acquaintances, etc.) •	Research the Internet for influencer in that field (practitioners, experts, bloggers, journalists, speakers, writers, researchers, business owners, etc.) Contact your networks to ask for people with the characteristic from their current / alumni networks (schools, universities, former bosses, former mentors, trade associations, student societies, etc.) Next to each name, add a column with a number from 1-3 for how close you are to this person (3 = closest, 1 = farthest) and another column with natural connection (3 = you feel the most naturally connected, 1 = you feel the most distant). Sort the columns to see the most naturally connected and the closest people at the top. Contact the first 10 people on your list starting from the top and tell them what you want to talk about (e.g. you want to find out about their experience in the industry, how you can get the job they have, what they think the next “big thing” in the industry will be, etc.). Ask them for something specific like 10 min / 30 min / 1h to talk over the phone, meet for coffee at / near their office or grab a lunch. •	If they’re the right match, continue the conversation and ask to meet again (more details in the book Seek to Keep) •	If they’re not the right match, ask for people they can introduce you to who also have the characteristic you’re looking for, continue to grow your list Repeat with the next top 10 people on your list Start now and get 'lucky' by beating the numbers game! To Learn More, Get a Copy of ‘Seek to Keep: How to Find the Best Mentors and Keep Them’ at www.bit. ly/seektokeep. HELPING BUSINESSES SUCCEED THROUGH EVENT, MULTIMEDIA AND DIGITAL MARKETING SOLUTIONS.